Why is fatty food always so good to eat? What is the point of eating low-fat food? ... if they are sometimes boring and artificial to eat. Should we eat for health or enjoyment? I have always asking myself these questions. Have you? Delicious food without damaging our health with excessive fats and sugar. Moderation is essentially what I'm after. 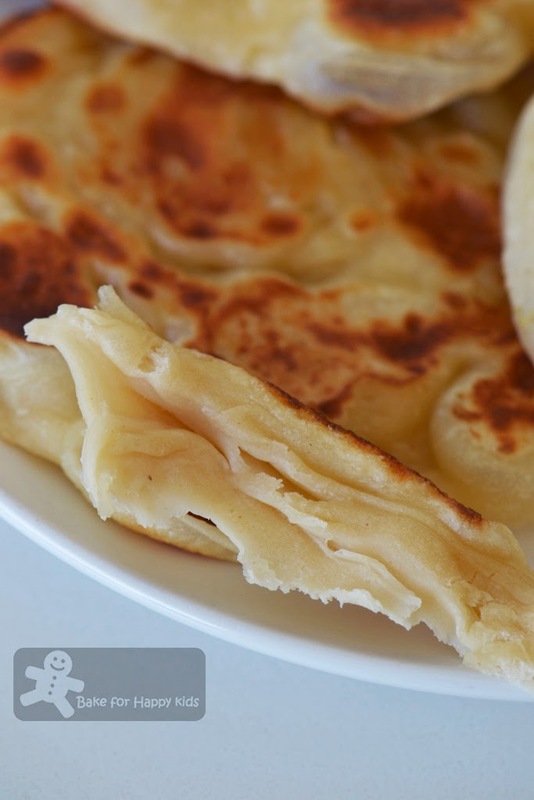 ok ok... As I might have seem to blah blah blah to some of you, I would love to share what I have learn about fats after cooking these delicious but fatty Roti Canai / Roti Prata. I named these information as Zoe's fat facts... So, stay tune to the later part of the post if you are interested. Back to my Roti Canai / Roti Prata cooking... My first attempt of cooking roti canai using Poh's Kitchen was not a successful one as the dough that I made wasn't very stretchy. I called that BAD roti! LOL! To redeem myself, I have found a few good recipes to try... Some use significantly more fat than others. Some use ghee. Some use margarine. 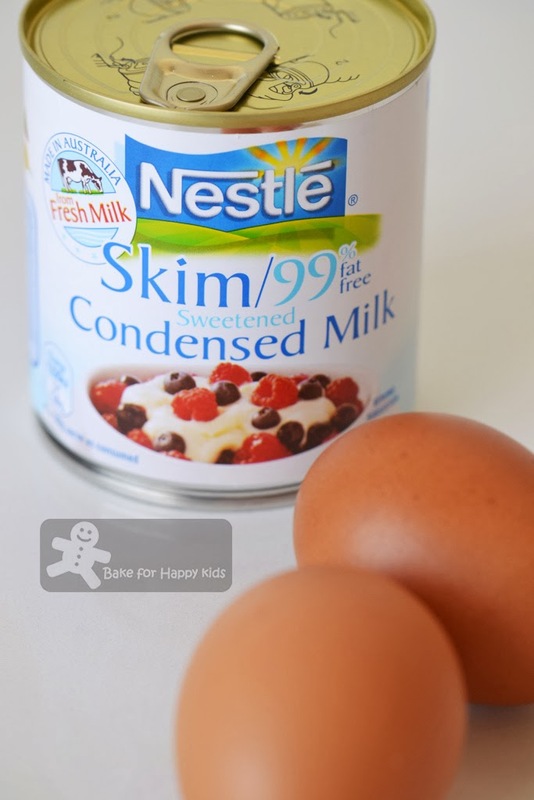 Some contains condensed milk or eggs but some don't. What is roti canai / roti prata? If you are living in Singapore or Malaysia, you must be thinking I must be crazy defining roti canai / roti prata... Whether you are a Singaporean, Malaysian or not, I have found this article via ieatishootipost that you might like to read. The way that it describes the history of roti canai seems fascinating containing the facts of roti canai that I never know. Back to the British colonies days, the Indian settlers came to British Malaya introducing roti prata to Southeast Asia and now, it is one of the most popular food to eat in Singapore and Malaysia. If roti canai / roti prata is available as frozen selection in your local Asian grocery stores or everywhere if you are living in Singapore and Malaysia, why are cooking our own? Like Leslie from ieatishootipost said, most of roti that we eat at food stalls or from frozen packets may contain high levels of trans fats which are made with low cost margarine. If we make roti at home, we can choose what the good kind of fat and the appropriate amount to use. I like to call these GOOD roti! LOL! After researching and analyzing several roti recipes, I have decided to pick three not-so-fatty ones and hope to search the best out of these GOOD roti. Roti Canai / Prata that I have cooked with three interesting recipes. These are the fats that I used and like to discuss their characters further. Some roti are made with condensed milk and eggs but some are not. In order to select three recipes that I like to try, I have tabulated a few popular roti prata recipes by standardising their flour content to 100g to have a better understanding their differences. 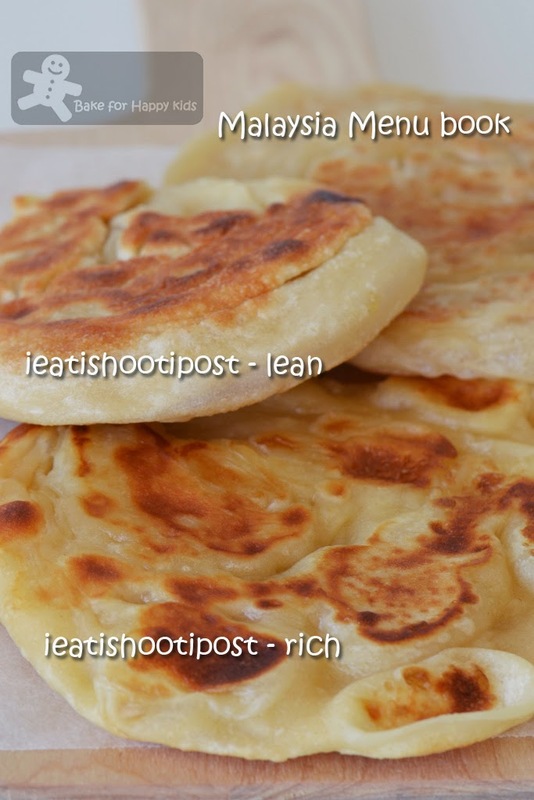 Based on the comparison, I have selected to cook the recipes from (1) the book, Malaysia Menu, (2) ieatishootipost, Lean and (3) ieatishootipost, Rich because these three used the least amount of fat! Knowing me, you will say... Obviously! I like to mention a few tips that I have learned to ensure your success of roti cooking. Tip No. 1: The flour used can be all purpose but preferably 10-11% protein content. I did a calculation on the flour that I used and have to use a mixture of 50% all purpose flour with 9.5% protein and 50% bread flour with 12.5% protein. The good amount of gluten is required to make super-stretchy dough. Tip No. 2: The dough has to be knead until smooth. So smooth that it has to feel like tender baby skin after apply a coat of fat on each portion. See how smooth are these baby skin dough. I have coat the dough using the fat according to the ones that I used to make them. Tip No. 3: Different shaping technique can yield different roti texture. I have tried making mine into the square and circular ones and find that the square ones with lesser but thinner layers are more flaky and crispy and the circular ones with more but thicker layers are more chewy. Tip No. 5: The choice of recipe is important! The well-hydrated dough tends to be stretchier than the firmer ones. I have realised that the addition of egg toughen the dough texture which make the recipe from the book, Malaysia Menu really good. However, the addition of egg can also make roti extra tasty with a hint of chewiness. For this reason, I'm voting too for the ieatishootipost (rich) recipe. In term of hydration and their stretchy properties, both Malaysia Menu and ieatishootipost (rich) are equally good. 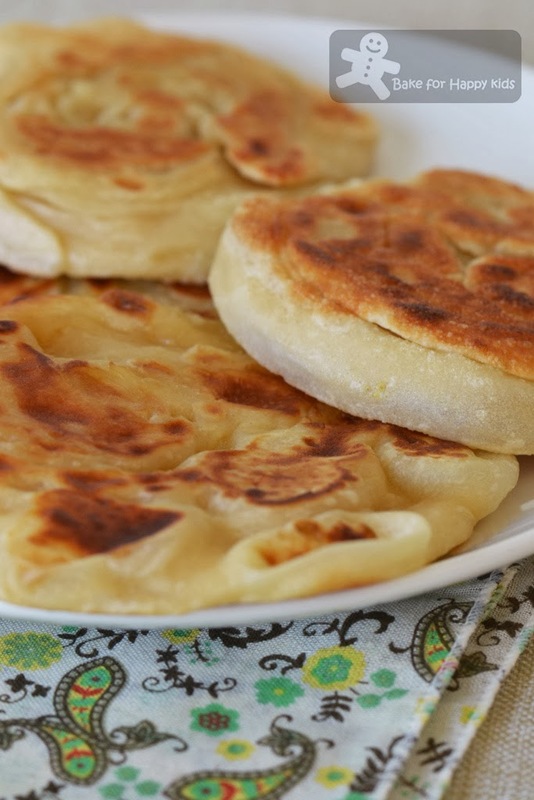 They have contrasted the roti made with ieatishootipost (lean) recipe which are not as stretchy as the others and can a little too tough to eat especially when it is made as circular roti. Final conclusion: A good hydration make a good stretchy dough and also better roti. I would think that the choice of fat will make a difference in their stretchy property but I think it will definitely improve their taste. Please refer to the list of ingredients in the above table. 200g of flour can make 4 roti. 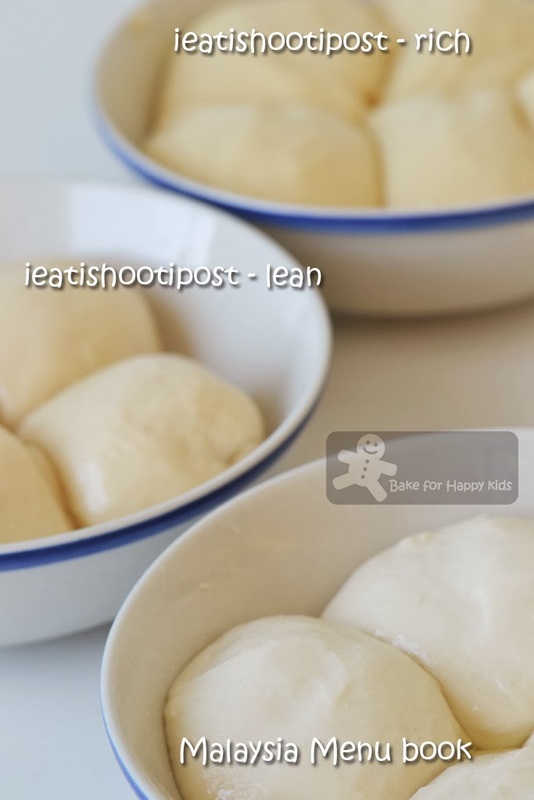 If the dough made with ieatishootipost (rich) is too sloppy to handle, you can add in 1/2-1 tbsp of bread flour (minimally) to firm up the texture slightly. Using a breadmaker or an electric mixer with a dough hook or by hand, place flour, salt, sugar, condensed milk, egg and fat together and mix until combined. 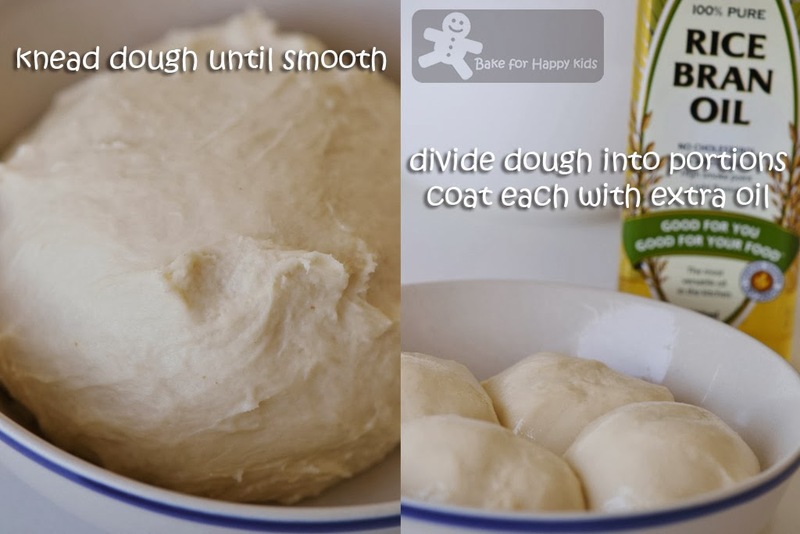 Add water gradually until mixture form a dough. Knead the dough in the breadmaker, electric mixer or on a greased kitchen top for 10-20 min until the dough is elastic and smooth. Please note that the dough has to be smooth as this step is crucial. Divide dough into small golf-size balls and coat each divided dough with enough layer of fat. Allow dough to rest for at least 2 hrs or more. This helps the dough to stretch. One - The Professional Method - requires lots of practice and skill! Take a ball of dough.With the hands, press it and lightly stretch it. Holding part of the stretched edges and pull it off from the kitchen top and flip the dough in the air (like a professional pizza maker). See the video in Chef in You for demonstration. Like me if you are find this method too complicated, use Method Two and Three!!! - LOL! Two - The Square Roti Method - Easy Peasy! Take a ball of dough and place it on a well greased kitchen top. 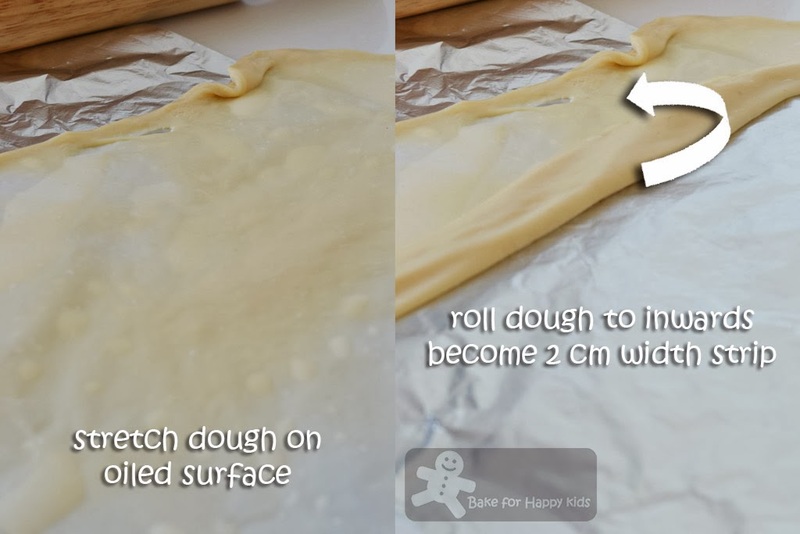 Use a rolling pin to roll the dough as thin as possible. 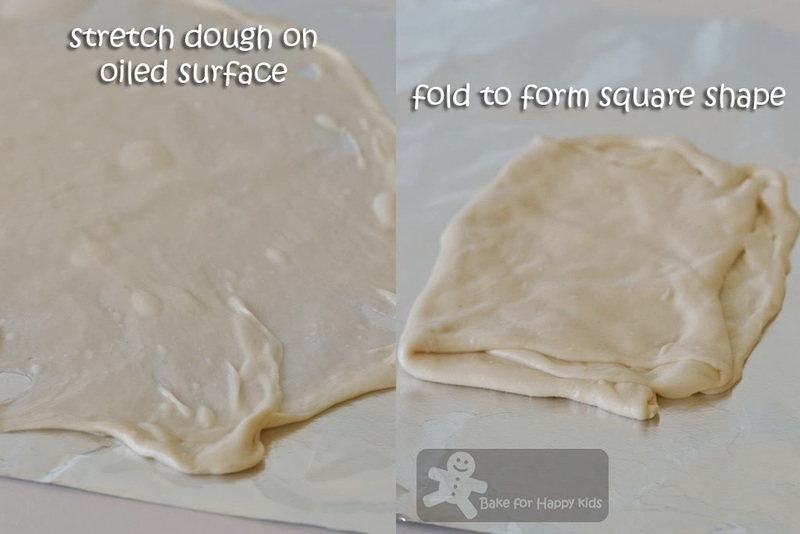 Using hands, stretch the dough further by pulling the edges as much as possible but without tearing the dough. The stretched dough should be looking semi-translucent. Fold 1/3 of the dough bringing its top end to the middle. Then, fold the other 1/3 of its bottom end to the middle. Then, fold 1/3 of its right end to the middle and lastly, fold 1/3 of its left end to the middle. Now, you will have a square roti. 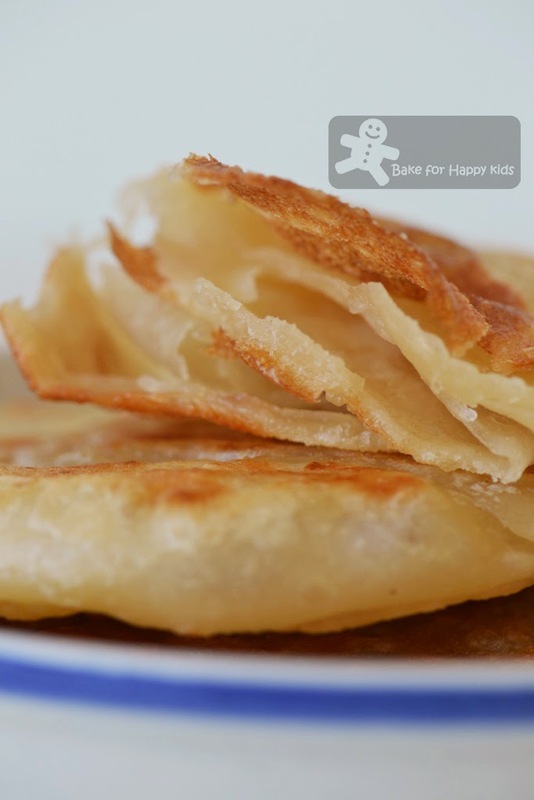 Stretch the dough a little and transfer the shaped roti onto a heated and greased frying pan. Cook for 1-2 mins until browned. Turn and cook for another 1-2 mins or until browned. Three - The Spirals Roti Method - my fav! Take a ball of dough and place it on a well greased kitchen top. 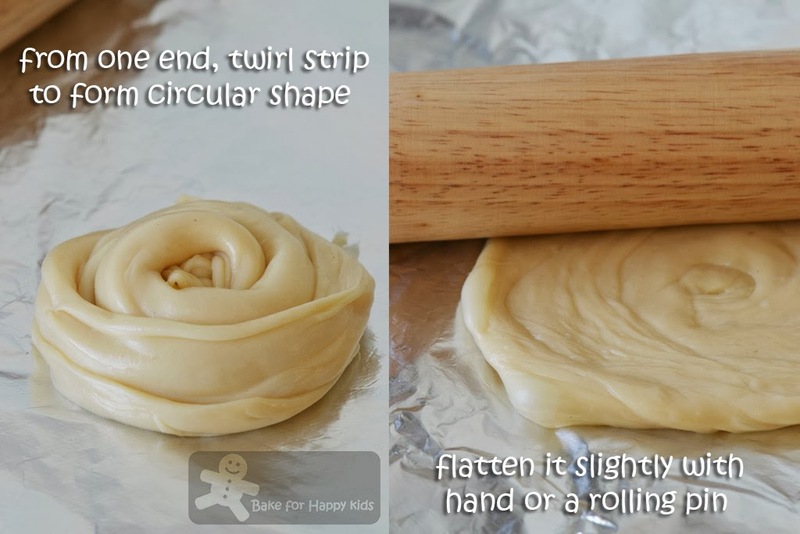 Use a rolling pin to roll the dough as thin as possible. The stretched dough should be looking semi-translucent like Method Two. Starting from the longer end of the dough, fold 2-3 cm of the edge inwards and roll the rest like a Swiss roll making it looking like a rope. Holding both ends of the dough rope, stretch and twist it to form a circular shape. Using a rolling pin, roll the dough to desirable thickness. Transfer the roti onto a heated and well-greased (very important!) frying pan. Cook for 1-2 mins until browned. Turn and cook for another 1-2 mins or until browned. Have you wonder butter can be solid but canola oil is not? It is because butter has high amount of saturated fat and canola has not. Different fats contain different proportions of saturated and unsaturated fat. Fats that contain a high percentage of saturated fats include animal fats such as cream, cheese, butter, ghee, suet, lard and fatty meats like pork belly; as well as vegetable fats such as coconut oil, cottonseed oil, palm kernel oil and cocoa fat. Is consumption of foods with saturated fats bad for us? YES but BEWARE that some low saturated fat products (like margarine) that can contains high amount of trans fats which can be equally bad as saturated fat! According to Heart Foundation Organisation, trans fat is a type of unsaturated fat that behaves like a saturated fat because of its chemical structure. It increases our risk of heart disease by increasing the bad LDL cholesterol, while also lowering the good HDL cholesterol in our blood. Most trans fats are artificial and synthetic! They are commonly found in hydrogenated or partially hydrogenated vegetable fats, such as SOME margarine and shortening. So, please please check your food label before buying your ingredient! Please make sure it is trans fats free!!! What is worse? Saturated fats or trans fats??? I think both are equally bad!!! For this reason, I will try to use butter wisely! As I said, moderation is essentially what I'm after. I have create a general guideline for my cooking which I called it Zoe's fat priority, ranking from the worst fat to the least... If a bad fat is to be used in the recipe, I will try to substitute it with reduced fat option or use a lesser amount without compromising its ultimate desired taste. NO lard and Copha Shortening (100% fat, 98% saturated fat), please! These are all the fats I have in my pantry! Plenty!!! And, so I must use them wisely! For baking and better flavours, I prefer to use butter in most occasions rather than Crisco shortening. If I do that, I will try to use butter in moderation. Although most margarine contain lesser fat content than butter, some margarine sold in Australia can contain up to 8g/100g trans fat! 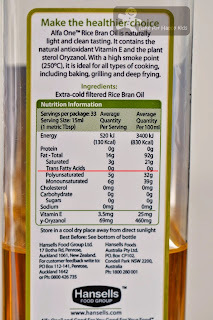 Another thing... don't always assume that all rice bran oil, shortening, vegetable oil or any specific fat are the same. Some can be very different depending on its brand, manufacturing companies and places of origin. When I was in Singapore, I was shocked to see that the rice bran oil sold in Singapore contains trans fat!!! ... and the one that I'm using in Australia doesn't! So... Always always always read your food labels and choose your food products and fats wisely! Feed your family and yourself with delicious food but also be nice to your thighs and heart! Wow, you've made your own roti canai! Amazing! And all the information on the fats, you are really thorough! Thanks Zoe for such an informative post! Your family is so lucky ! Hi Zoe, wow simple roti prata with lots of facts about types of fats ... saturated, non-saturated fat, trans fat etc. Lesson learnt. Bet that your prata is great with a cup of teh tarik! Yummy! Your prata look so good! Very pro like. Impressive and two thumbs up to you!! And thanks for writing facts on this post. Zoe, I tried making roti prata before and it turned out bad roti :DD Now I want the good roti, two pieces please! bookmarked! bookmarked! Zoe you are so hardworking. I am going to slowly digest your write up and experience tonight. Eh, I thought I commented this morning, hmmm, weird..
You roti canai looks so good, I don't mind having thick ones, like murtabak.. I can eat 3 roti planta and 3 roti telur, bring it on! So the recipe from Poh's kitchen is no good? I almost wanted to buy her cookbook when I went to Kmart a few days ago, because I thought the book looked really nice with great photography. You Roti Canai looks awesome by the way! Thank you for the extensive post and sharing some helpful tips! Please don't get me wrong. I wasn't saying that the recipe from Poh's Kitchen is not good. I have tried her recipe before and my roti wasn't made with her wasn't as successful as these. I reckon that it was due to my wrong technique used at that time of making those roti. I'm never a fan of prata, but both hubby & son adore this Indian roti. Both of them would order prata for breakfast from a coffeeshop just across the street & I can see them enjoying a lot. I love roti and yours look delicious. I'm a big advocate of moderation instead of cutting out everything delicious. These look really, really good. O buy them frozen, but now I want to make my own! Thanks, Zoe! I love the look of the square one, so crispy! I dare not attempt this yet, but I did cook chapatti which is pretty straight forward...got to find some time to post that! 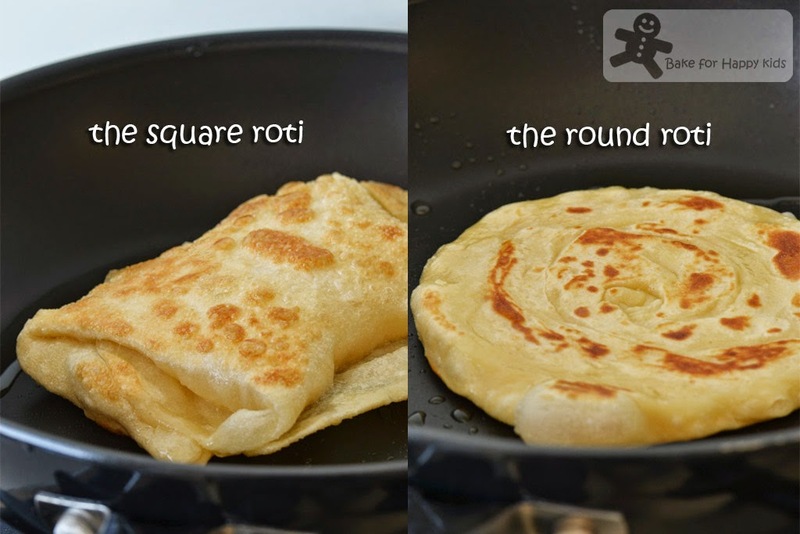 Such an informative post Zoe...and both roti look great...I want to try the round one...love all the layers in it...yum! Your roti canai look like the one selling outside. Very informative post. Thanks for sharing ! Zoe Zoe, you are the most hardworking food blogger! You made roti canai before, right? I like your round-shaped roti canai better as I'm the old fashion one, hahaha! My girl's birthday is on the coming Sat & I'm going to cook curry chicken, turmeric rice & roti canai loh, but store-bought standard hah. I'm using a frozen type, made from Singapore. ideal of this product,is this a healthy choice of spread,,,? 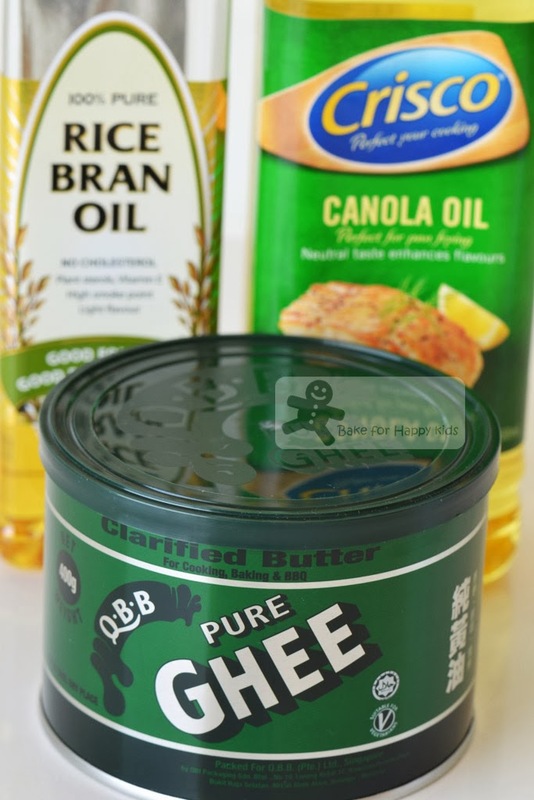 Margarine are mainly made of vegetable oil and water and use different kinds of vegetable oil or different combination. Even the same brand of margarine like meadow lea might have a lot of variations in a few of their products. I can't really tell which is a better option or not unless I read the food label and make the judgment by myself and I would encourage you to do so. Oh wow wow wow... I had no idea these can even be made at home! The roti canai looked yummy and tasty. I liked to eat in breakfast. The recipe was to good. I think I can make it easily. Thank you for your helpful post.